3D OCT-1 Maestro™ by Topcon. 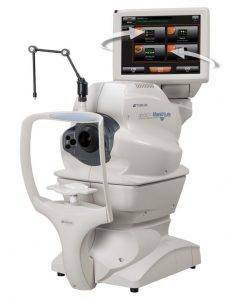 Topcon, a pioneer in Optical Coherence Tomography (OCT) and market leader in eye care technology. OCT devices provide important insights and aid in the management of retinal disease. This non-invasive, patient-friendly technology is significant in its ability to provide micrometer level imaging of the internal structure of the eye. Topcon’s revolutionary OCT technologies provide our patients with state-of-the-art diagnoses, delivering superior images in greater detail than ever before. The three-dimensional map is therefore a valuable aid to the examining ophthalmologist or optometrist and can assist in the diagnosis and treatment of a number of conditions; in planning refractive surgery such as LASIK and evaluation of its results; or in assessing the fit of contact lenses. A development of keratoscopy, corneal topography extends the measurement range from the four points a few millimeters apart that is offered by keratometry to a grid of thousands of points covering the entire cornea. 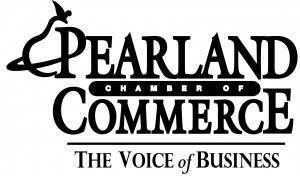 The procedure is carried out in seconds, at our Eye Care Center in Pearland, and is completely painless.